The perfect keepsake from the Islands. 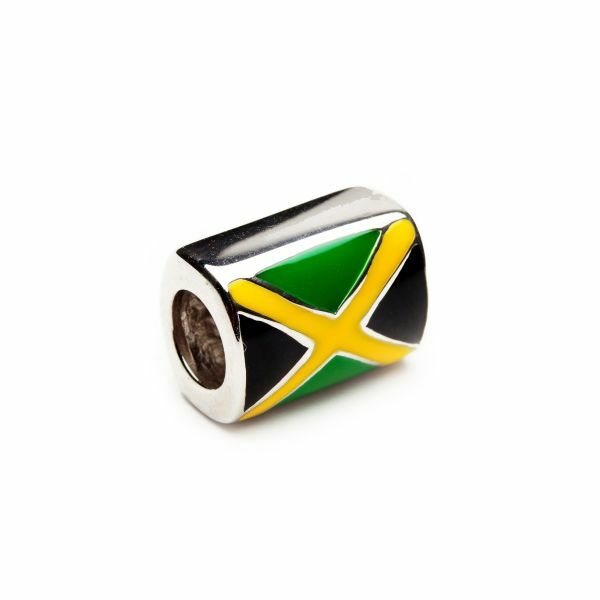 Decked in the country’s flag colours, this unique chevron charm represents all that’s wonderful about Jamaica. Add this to your charm collection. All charms are approximately 10mm with a 5mm diameter hole.